If you are in need of some fresh outfit inspiration, check out this trendy top brought to you by Deal Jeans. 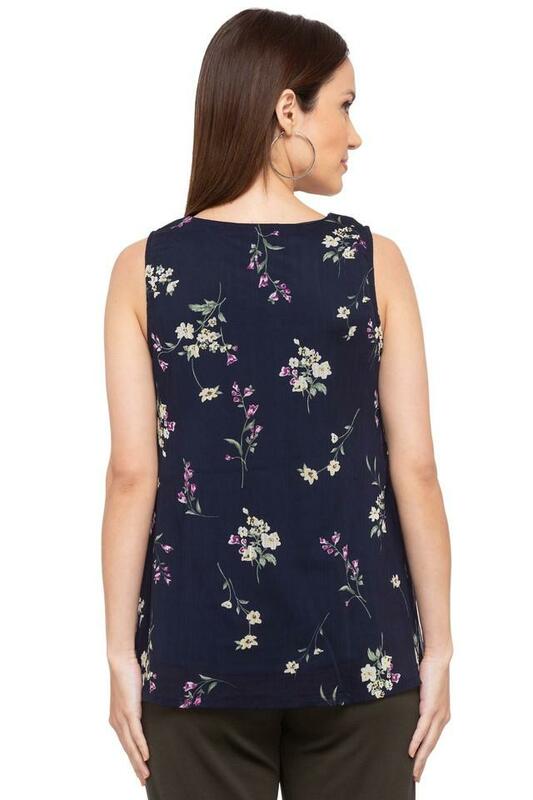 It is sleeveless and has a tie up neck which adds to its design. 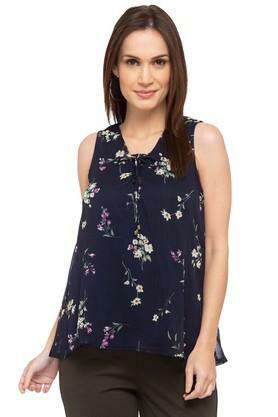 Besides, it flaunts a print pattern, which along with the beautiful combination of shades will give you a smart appeal. 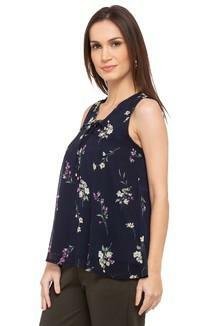 Stay in sync with the latest trends by wearing this printed top. 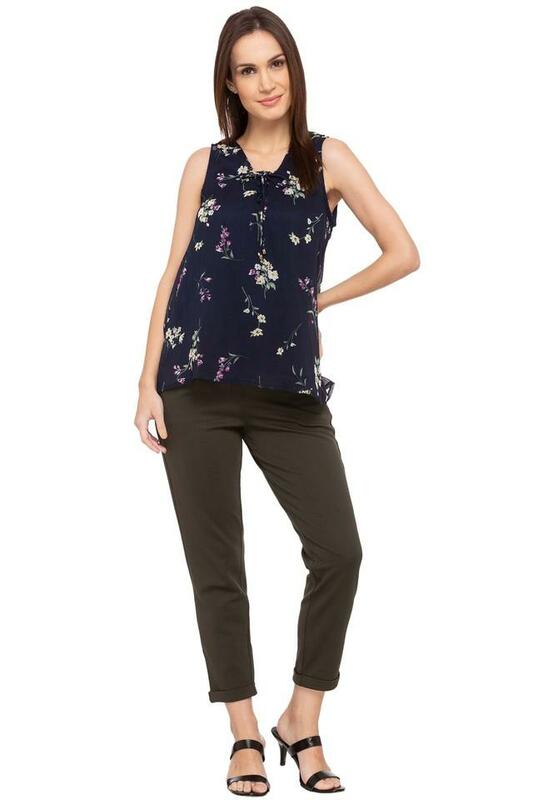 Great for casual occasions, it can be worn with any pair of jeans or capris to walk in style.